Dr. Sunhee Lee attended University of Pennsylvania for her undergraduate and graduate work. She received her D.M.D. from University of Pennsylvania School of Dental Medicine in 1993 and completed a year of residency in general dentistry at the Catholic Medical Center, an Affiliate of Cornell University in 1994. Dr. Lee has been practicing in New York and New Jersey area for over 22 years. She has completed many advanced courses in implants and cosmetic dentistry. She is Invisalign certified. 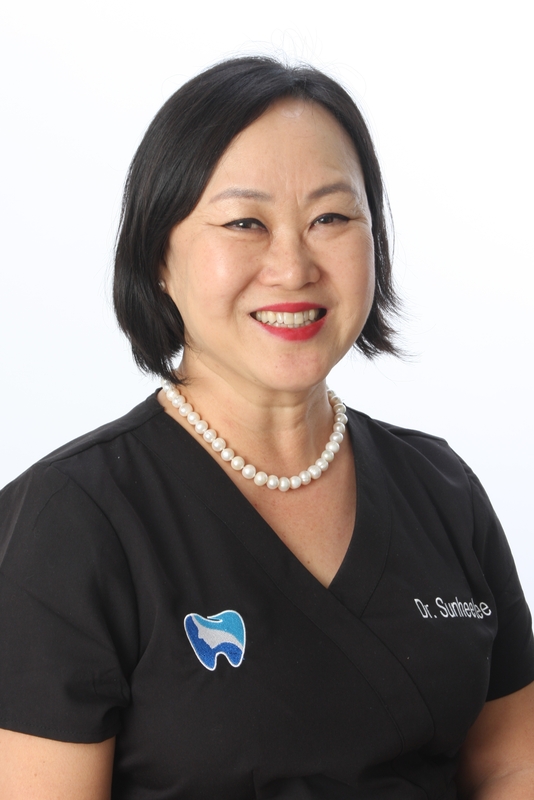 Dr. Lee has dedicated her career to providing high quality, personalized, and gentle dental care for her patients. Dr. Lee continually participates in industry seminars and conferences to keep herself informed of the newest techniques and materials that will help her to provide the best care for her patients. Dr. Lee is married to Raymond Kang and has two daughters, Elise and Andrea. Dr. Lee volunteers for dental/medical missions each year to help the indigent people in various parts of the world including Mexico, Peru, India, Honduras and Cambodia. Dr. Lee is a member of American Dental Association and the Korean-American Dental Association. Dr. Lee has been my dentist for the past 3 years and she has done wonders for my teeth, She’s really the best!! I recently moved but Could not imagine having another dentist so I drive the extra hour to see her every time. Really amazing staff ! Dr Lee and her entire staff are the most professional, friendly , and by far the best dentist that I have been to! This is my second visit and I am lucky and fortunate to find her. I HIGHLY recommend this dentist. I've been coming to Dr Lee since 2004. Everyone is so friendly and I am happy with my smile.